Posted September 29th, 2011 by Theresa Schlafly & filed under Articles & Videos, CNDLS, Teaching Commons. Posted July 25th, 2011 by Theresa Schlafly & filed under Articles & Videos, CNDLS. In an essay recently posted on Inside Higher Ed, Steven J. Corbett (Southern Connecticut State University) reflects on the “ups” and “downs” of teaching writing with technology. Posted July 5th, 2011 by Theresa Schlafly & filed under Articles & Videos. Posted June 20th, 2011 by Theresa Schlafly & filed under Articles & Videos. You may have seen the compelling videos “The Machine is Us/ing Us,” an exploration of the significance of Web 2.0 technologies, or “A Vision of Students Today,” which illuminates the student perspective on higher education. Posted June 6th, 2011 by Theresa Schlafly & filed under Articles & Videos. A recent Washington Post article entitled “Wikipedia goes to class” highlighted area universities’ participation in the Wikimedia Foundation’s Public Policy Initiative. Posted February 16th, 2011 by Theresa Schlafly & filed under Articles & Videos. 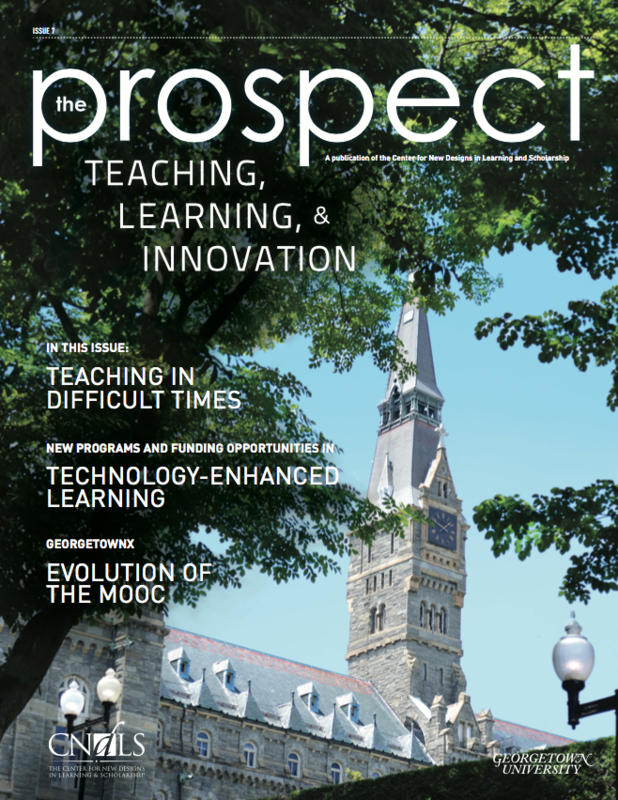 The Hoya recently published an article about the use of course blogs at Georgetown. Author Jonathan Gills interviewed several students and faculty members, including CNDLS’ Eddie Maloney, about their perceptions of blogs. Posted January 25th, 2011 by Theresa Schlafly & filed under Articles & Videos. In an article titled “The Web of Babel,” Inside Higher Ed recently presented several examples of how new media can enhance foreign language teaching, and explored the possibilities of online language instruction to supplement in-class discussion.